The Virginia Board of Game and Inland Fisheries made a decision at its June 2 meeting to allow elk hunting in 28 counties, pending a clear elk management plan that is agreed upon by agriculture leaders and other stakeholders. The decision was made following a public comment period on a proposal by the Department of Game and Inland Fisheries to close the state’s elk hunting season in 31 counties west of the Blue Ridge. Edmondson said she and other Farm Bureau members rallied together to submit comments and voice their concerns about the proposal. 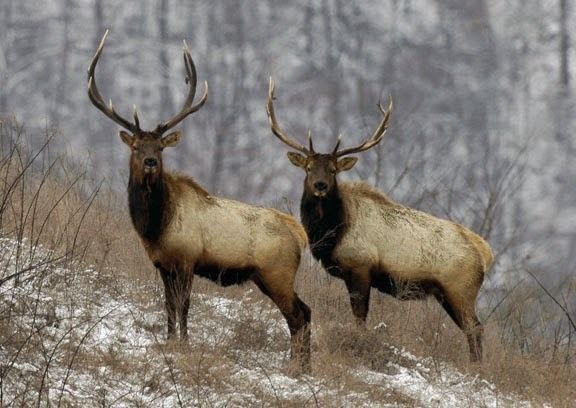 In 2012 the game department re-established about 75 elk in Buchanan County, and elk hunting was prohibited in Buchanan, Dickenson and Wise counties. Currently, hunters with a valid deer tag may hunt elk anywhere in the state except that three-county Elk Management Area. The hunting policy was established primarily to limit the risk of reintroduced elk—or deer—transmitting diseases to agricultural livestock and the white-tailed deer population. Closing the elk season west of the Blue Ridge would have added 28 more counties to the Elk Management Area. The initial proposal caused distress for farmers, who shared concerns about the potential elk have to damage cropland, pastures and vineyards, as well as the potential for injuries and vehicle damage in collisions with elk.